Let’s put the power of this feature into context with a real use case. ABC Software Company shares resources with each new account as part of their onboarding process. Mary from the Marketing Team creates a “Getting Started” Postwire as a template that Sam, a Client Success Coach, copies and personalizes for each new partner and customer. One of the content items included is a product tutorial video. Each time a content item like the tutorial is reposted—or an entire Postwire like the "Getting Started" Postwire is copied—copies are made of original source content. 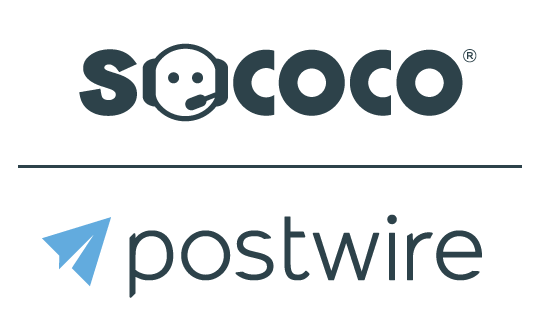 Over time, multiple copies of the source items get reposted to multiple Postwires. Using the Update and Replace feature, Mary, as Admin, can keep the tutorial synced with new product releases by uploading an updated tutorial to replace the original source video. All future reposts of the tutorial--and copies of this "Getting Started" Postwire--will include the updated tutorial. At the same time Mary makes this update, she can also elect to update all copies that are currently “out there”—with one click, Mary can update the source tutorial and all of its reposts on all of the Postwires previously shared by Sam and others in the organization. In other words, Mary and the Marketing Team can easily ensure that all partners, customers and prospects always have the most current product information! Play other scenarios over in your head--unfortunate ugly typo discovered on a data sheet that's easily updated and replaced everywhere, new company branding updated on key collateral for a consistent new look or routinely recorded message from the CEO kept current on a Postwire shared internally company-wide--and you can see just how powerful this update and replace feature is! As Admin, select Content Analytics. Find the content item in the list that you want to update. Remember, search is your friend. Tip: Use quotation marks to search for matching character strings. Begin by searching for an exact match of two key words in the content item title. Select the original content item—either by clicking on the title of the original item in the list or clicking See Original associated with a reposted copy. Note: You can only update with a matching content type. In other words, you can update a video with a new video, or a PDF with a new PDF. You cannot update a video with a PDF. If you update a video, the processing time can take a while, depending on the length of the video and the speed of your Internet connection. You will be alerted as the video is processed in three phases: uploading, analyzing and processing. Once the new content is uploaded, confirm that you have also set the desired image and title text. Tip: Be sure to check the image carousel as Postwire will upload new thumbnail images for videos and PDFs and insert these new images in the carousel behind the current thumbnail image. Click the arrows to review all images in the carousel. As always, you can upload your own image by clicking Can't find a good image? Select the scope for this change. You can change only the original source item or the original item and all reposts or copies. Note: The count of Reposts may not match the count of the same item in the Content Item List. See FAQs below. When you are ready, click Save Changes. Be patient, depending on the number of updates, and a few other factors, the save can take a while. NOTE: This action CANNOT BE UNDONE and so we take extra care to ensure you want to do it. Click Update only once you are 100% sure you want to save the changes. That’s it! Success! Fist pump! Yea! Q: How come the reposts count I see in the update scope message doesn't match the repost count displayed for the same item in the content item list? A: Using the Update Content and Replace feature, Postwire will update all of the copies of a source content item that currently exist in the database. Postwire displays this current database count to the Admin in the update scope message. The number displayed here reflects the actual number of reposts that will be updated. Deleted reposts are not included in this count. However, the content item list always reports the total count of reposts, including reposts of items that may have since been deleted. In addition, the content item list detail is updated only once every 24 hours. For these two reasons, the repost count for a given content item that's returned real-time from the database for display in the update scope message may not match the repost count for the same item in the content list. Q: Is there a limit to the number of reposts that will be updated? A: Yes. The maximum number of reposts that can be updated is 1000. Q: Do I have to click Save Changes to update the content item? A: Yes. Unlike other Postwire features that don’t require a separate save step, to update content here you must click on the Save Changes button. Q; Can I navigate to another Postwire screen while the update is taking place? A: No. Depending on the number of items to update, the Save could take a while. Please sit tight and be patient. Take a walk around your desk. Smell a flower. High-five a colleague. But, do NOT navigate to another screen in Postwire. Q: Oops! Can I un-do a content update? A; No! These changes CANNOT be undone! Please be sure you want to make a change before clicking Save Changes.